Senegalese forces as seen in the photo above are among the best trained in Africa. 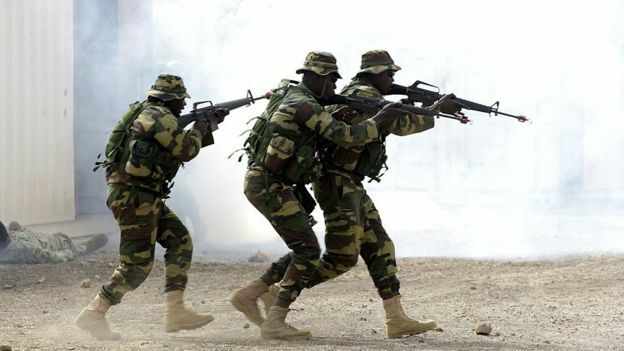 West African military forces have made it clear they are ready to enforce a transfer of power in the country, a popular beach destination among European holiday-makers. Mr Barrow took oath at the Gambian embassy in Dakar, Senegal. If the Senegal has the best troop in Africa, then why are they sending Naija troop that can not differentiate between IDP camp and the Boko camp?